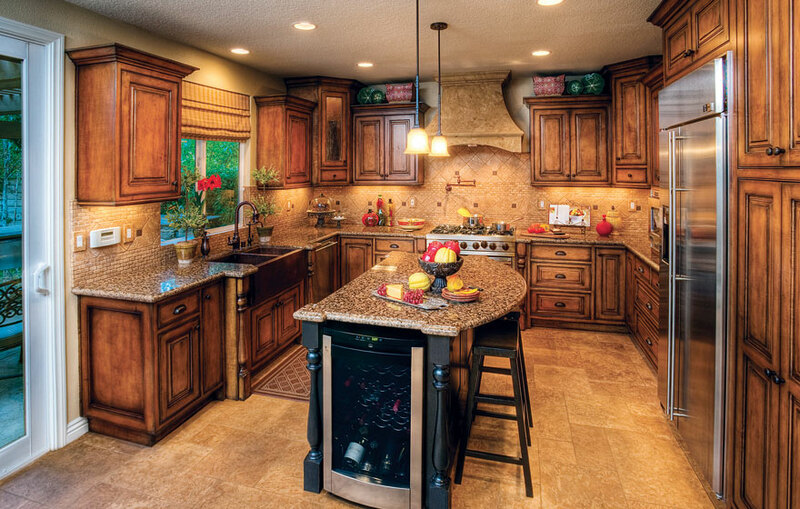 The Tuscany 3/4" (590) Door and a beautiful custom finish make this a truly magnificent space. Finish 1: Clear Finish with Tierra Heavy Wiped Glaze on Maple Finish Grade can achieve a similar look. A match to this finish is commonly requested so indicate on your order that you want to match this kitchen's finish to get the closest match. This home also features a Tuscany 3/4" Glass Door (590G) with OE1. Post Traditional A (8256) and Smooth Knob (7173) could be used for a similar look. 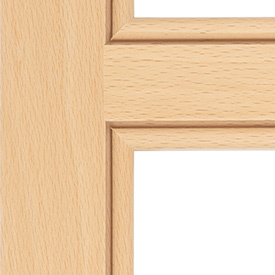 A 1/4" Bead Face Frame (FE-7) could be used or the OE11 beaded edge could be applied to the doors to achieve a similar look.